Guerrero Students: Dismissed state attorney general says Human Rights Commission report is "biased"
Former Guerrero state attorney general Alberto López Rosas called the report released yesterday by the National Commission on Human Rights (CNDH)--regarding the violent event that killed two Ayotzinapa normal school students-- "biased". "It is not certain that the shots that took the lives of two students (Gabriel Echeverria de Jesus and Jorge Alexis Herrera Pino, on Dec. 12) came from west to east (where state police were), but more likely they were from north to south (where the Federal Police were). "The report is cut off from reality, biased: it has no consistency," he said. The legislative committee investigating the murder of two students from the Rural Normal School of Ayotzinapa and of a gas station worker met with a group of normal school students who demanded a prompt response to their request for the impeachment of the governor of Guerrero, Angel Heladio Aguirre Rivero. Francisco Moreno Merino (PRI), chairman of the Working Group, informed the students that their petition is being analyzed by the apropriate authorities of the Chamber of Deputies, and the results of their study will released in the coming days." "One of the main obstacles faced by the National Commission on Human Rights (CNDH) in their inquiries into the murder of two students from the Rural Normal School of Ayotzinapa, which occurred on December 12, is the lack of cooperation from police forces state and federal regulations. This was stated by the first inspector-general, Luis Garcia Lopez-Guerrero, who noted that, despite this, within one or two months the team investigating the case will be able to send its definitive conclusions to the Attorney General's Office (PGR) so that it can proceed against those responsible for what happened. "One of the irregularities that we saw is that the federal Public Security Secretariat (SSP) have not responded to our requests for information in a timely manner. In addition, the scene was not preserved as the protocols require," the official said in an interview with La Jornada." 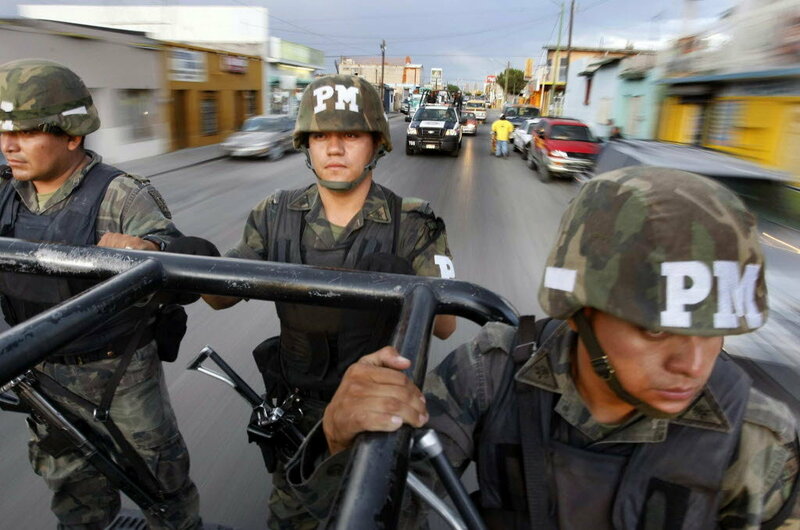 Lots of statistics on drug war "success" are being issued by the Mexican government this week. Let's see, in over four years, that's less than 500 "aggressors" per year or less than 40 per month. The Ministry of National Defense (SEDENA) has arrested 1,908 people in armed clashes with drug traffickers between May 2007 and September18, 2011, the latest available date for federal statistics. The arrests, the agency said, were in response to acts of aggression against the Mexican Army." The lack of adequate food and the difficulty of 28 million Mexicans to purchase the basic food basket was the factor that most influenced the increase in poverty, which increased to 52 million people between 2008 and 2010. This is despite the fact that one out of two pesos that the government spends in this area is allocated to food support programs." Mexico Secretary of Interior says, "The country is not at war, nor can one speak of an armed conflict"
Hum? How does this line up with statistics released today by the Attorney Generals Office that there were 12, 903 deaths between January and the end of September, 2011,which could put the total for the year at 17,294. The official total for 2010 was 15,273. That would mean a 13.3% increase in deaths. We are reminded, once again, of the advice to "take out the 'not'" when politicians speak of supposed realities. "Mexico is not at war and it does not meet the criteria of international law for an armed conflict. derived from the national strategy for public safety and combating organized crime groups,” the Interior Minister, Alejandro Poire, said while inaugurating the Forum on Security with Legality, in Xalapa, Veracruz. He said that the federal government has developed a comprehensive and repsonsible strategy to strengthen the rule of law throughout the country, to ensure that all citizens can fully exercise their rights and freedoms and also, of course, to bring all offenders to justice. He rejected criticism about individual rights being violated by the armed forces in fighting organized crime, and noted that the abuses documented by the National Commission on Human Rights (CNDH) are minimal and are the exception, not the rule. Poiré reported that, according to the CNDH report, from 2007 to 2011 5,814 complaints were received against elements of the Secretariat of National Defense. He said that in only 90 cases was sufficient evidence found to make a recommendation, which represents 1.5 percent of total complaints. In the case of the Navy Department recommendations have only issued in 1.8 percent of cases. The head of domestic government affairs also refuted the arguments that rates of insecurity and violence have soared when federal forces are present in regions where state and local governments have asked for support. He said, to the contrary, "thanks to the intervention of federal forces in joint operations, there has been a significant and specific reduction in violence and insecurity in those regions where our actions have achieved greater operational maturity." He said that between 2010 and 2011 in Tijuana, Baja California, and Ciudad Juarez, Chihuahua, there have been decreases of 87 percent and 70 percent, respectively, in the incidence of homicide, and the regions of Veracruz and Laguna region, similar declines have been registered in the commission of crimes. The statistics for 2011, as noted by El Universal, only include through September. If the average rate of 4,301 deaths per quarter continued, the total for all twelve months of 2011 would be 17,294. This would put the five year total at 51,816. The official total for 2010 was 15,273. That would mean a 13.3% increase in deaths in 2011 over 2010. While the Attorney Generals Office states that there has been an 11% decline in deaths from 2010 to 2011, the 2011 data only includes up until September. 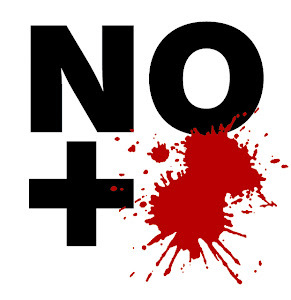 For the nine months of 2011, the states with the highest number of deaths were Chihuahua (2,276), Guerrero (1,533), Tamaulipas (1,153), Sinaloa (1,100), Veracruz (538), Baja California (250). Mexico City police this morning found two human heads a few meters from a burned station wagon outside the Santa Fe Mall (an upscale area in western Mexico City.) Inside the vehicle, a Honda CRV, two bodies were found. Also, a message, written on fluorescent pink construction paper was left. "A federal judge in South Carolina has halted a lawsuit over the state's tough new immigration law pending the outcome of a U.S. Supreme Court decision on a similar challenge in Arizona. State Sen. Will Kraus, a Lee’s Summit Republican, is sponsoring a bill that would mandate that all public schools verify the immigration status of enrollees. It also would require law enforcement officers to check immigration status on all stops when they have reasonable cause, and create a state misdemeanor for not carrying proper citizenship documentation." "Anti-immigration group NumbersUSA announced on Tuesday that it will spend at least $100,000 on advertising before the South Carolina Republican primary on Jan. 21 in an effort to tie high unemployment levels to legal immigration." Upsidedownworld: "On December 28, Mexico’s Federal Electoral Tribunal (TEPJF) annulled the recent mayoral election in Morelia, Michoacán, as the ugly fallout to the state’s gubernatorial and local elections in November continues. Opposition parties have called for the rest of the results to be thrown out as well – an unlikely prospect – amid a slew of controversies that hint at turmoil to come in this year’s presidential race. Ostensibly, the elections in Michoacán represented another significant victory for the PRI, with the party’s Enrique Pena Nieto a strong favorite to take the presidency on July 1. However, they also illustrated all too well the difficulty of holding fair elections in a region of the country plagued by corruption and organized crime." I confess and make mea culpa that we woke up late,” said José Antonio Fernández Carbajal, the chief executive of Femsa, one of the world’s largest Coca-Cola bottlers and a big Mexican retailer. The dissident teachers organization which is spearheading the impeachment petition against the governor Angel Aguirre Rivero also warned, at a press conference today, of the possibility that organized crime groups are being used to suppress the Ayotzinapa normal school students. The leadership of the State Coordinator of Education Workers of Guerrero (CETEG) announced a mass march for February 2 in Mexico City, that they are asking the student community of the Rural Normal School to head. ... The march will express rejection of those who propose the closure of the Normal School. "We are clear that the problem of repression is not only a problem for them, but also for ourselves and everyone; because of this we are making an appropriate demand for the impeachment of the governor," Minervino Moran, press secretary of the group, explained. The press conference was also attended by the secretary general of the national group, CETEG, Gonzalo Ocampo Juarez, who said "This will be a fight between two fires, in which our main demand is the impeachment of the governor of Guerrero." He added that the preliminary report of the National Human Rights Commission (CNDH) strengthens the impeachment petition, which will also be presented to the Interior Ministry in order to try to expedite the procedure. Minervino Moran also said that Saturday there was an act of pressure from a group of people linked to organized crime against the rural normal school students, which needed to be reported promptly. "We presume that in this situation crimal groups can be used to repress social movements; that is something that worries us, because it is a way to exert repression indirectly," he said. He said the march in support of the governor on January 5 illustrates that groups with power can move to try to quell the social movement, which represents a very negative signal for the state." Guerrero Students: Guerrero governor tells his followers, "If you want to help me, don't make marches." "Guerrero's governor, Angel Aguirre Rivero, denied that his government was encouraging the community's rejection of the normal school students and he launched an appeal to all sectors of Guerrero society to exercise prudence, common sense and non-confrontation, considering that it doesn't benefit anyone to deepen the differences.